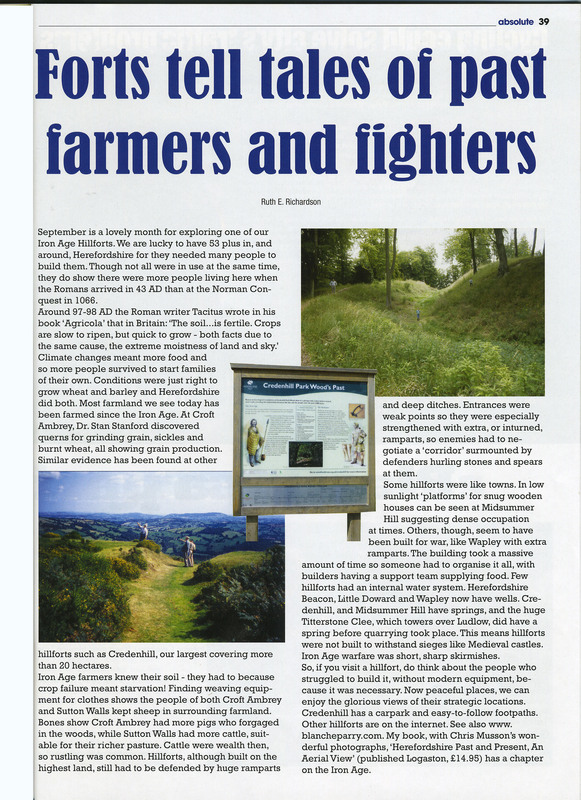 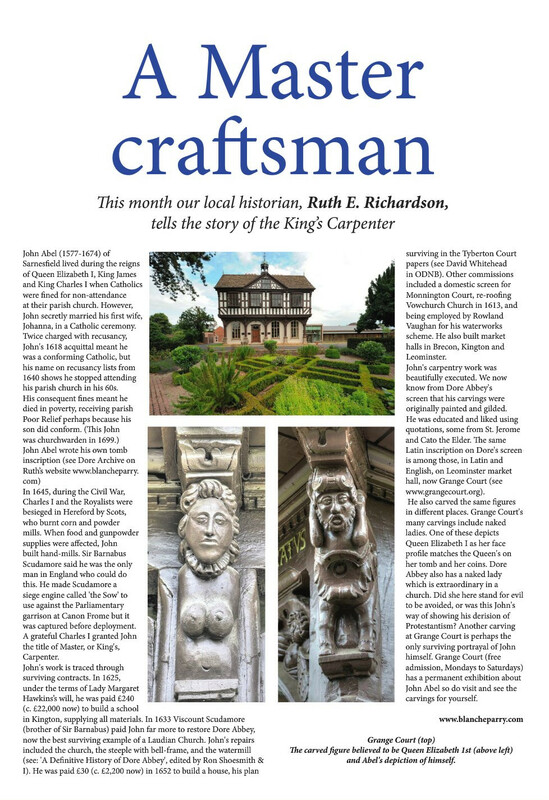 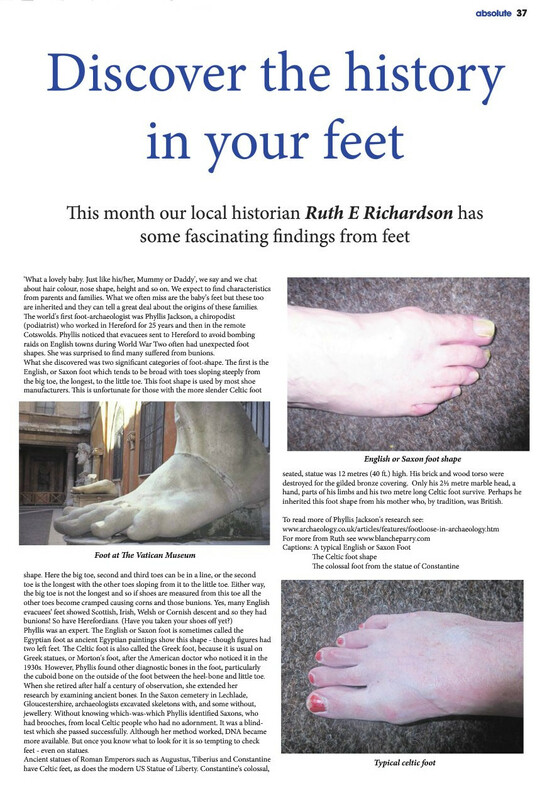 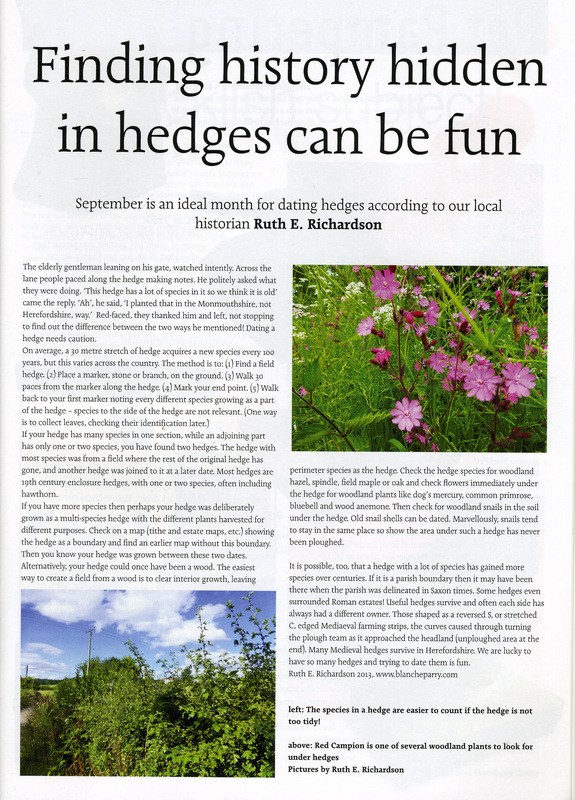 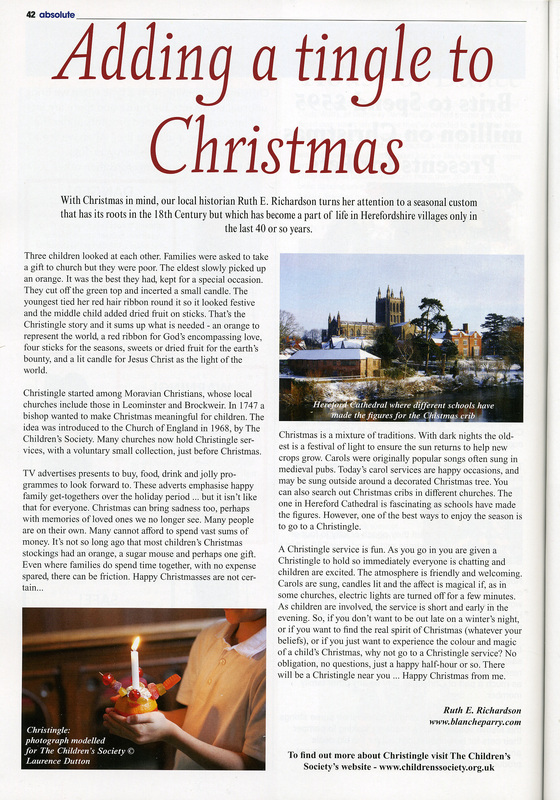 Many of these articles first appeared in a free monthly magazine &apos;Absolute Herefordshire&apos; (now defunct). 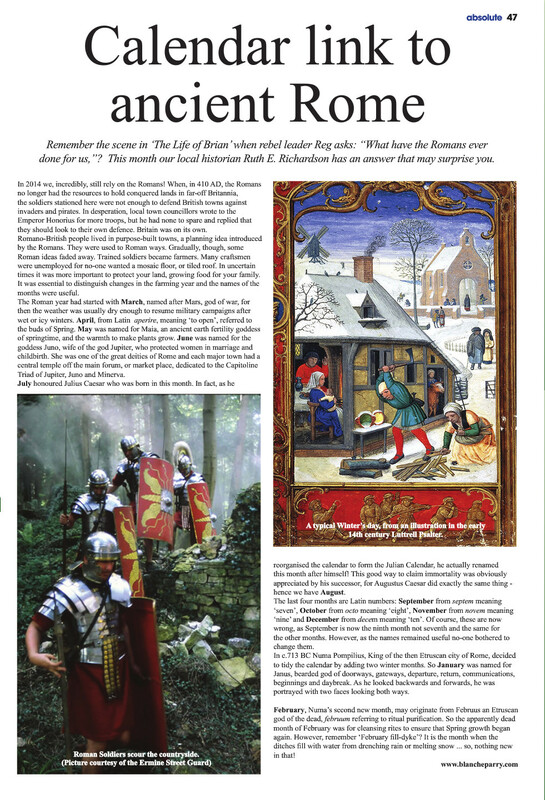 They are reproduced here, with a print version if you prefer, for you to enjoy. 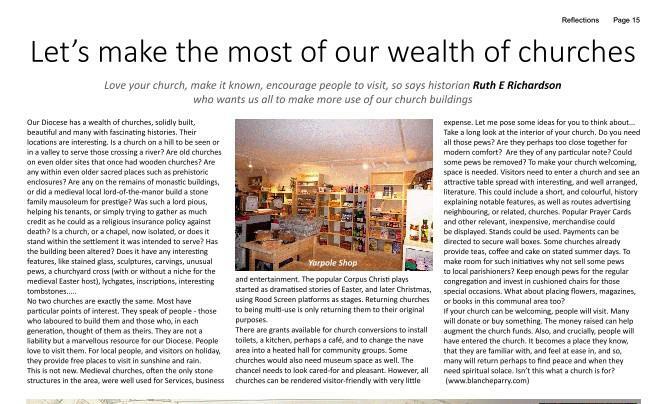 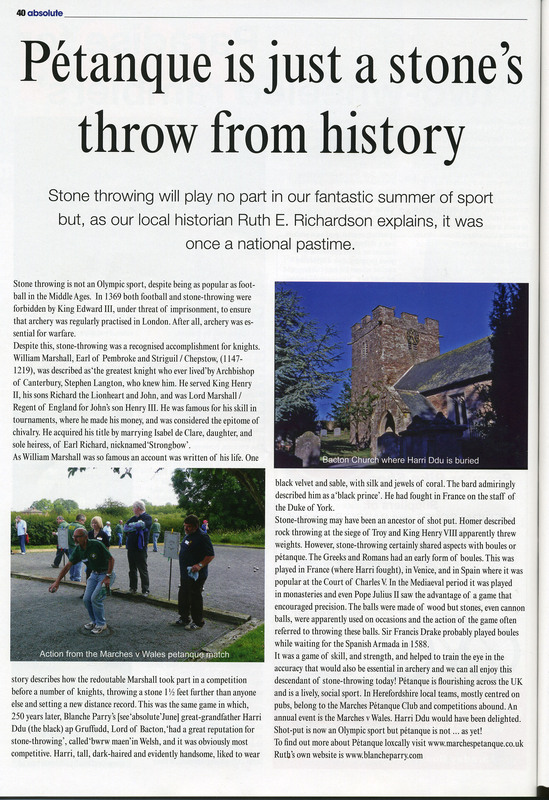 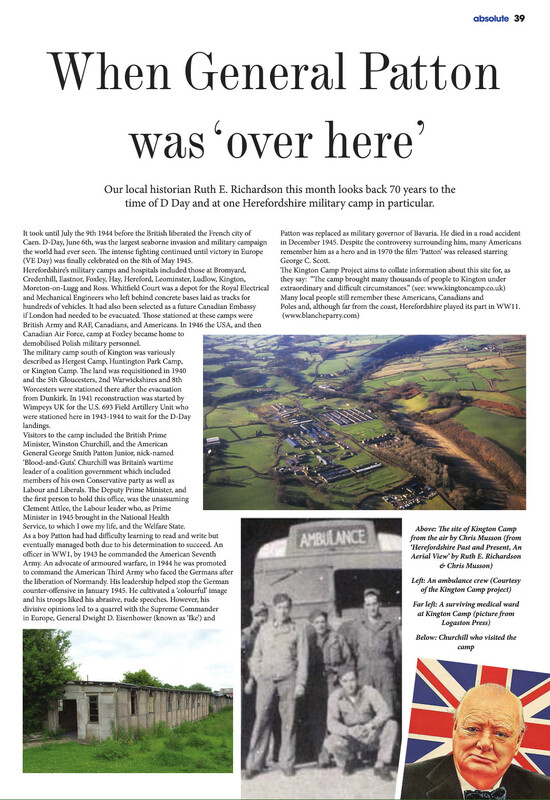 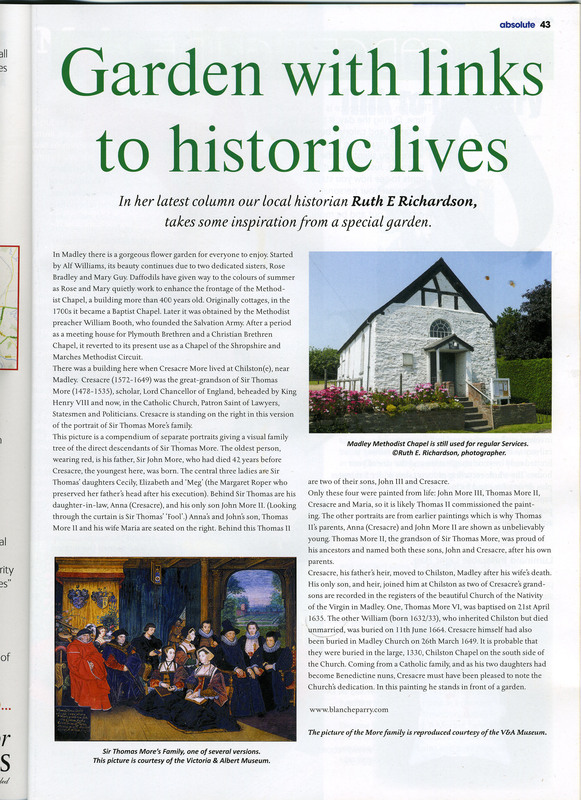 Please do visit the places mentioned - Herefordshire and the Welsh border area is rich in historical sites .... Ruth. 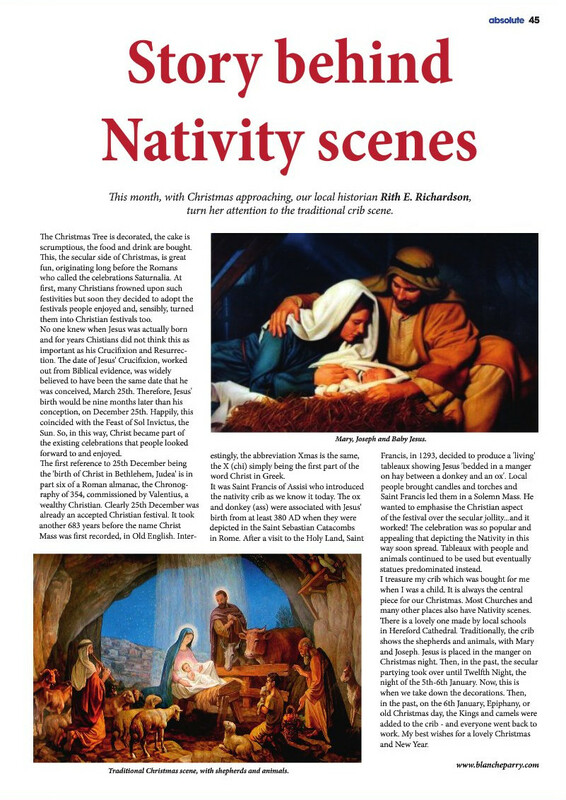 With Christmas approaching, the story behind the Nativity scene. 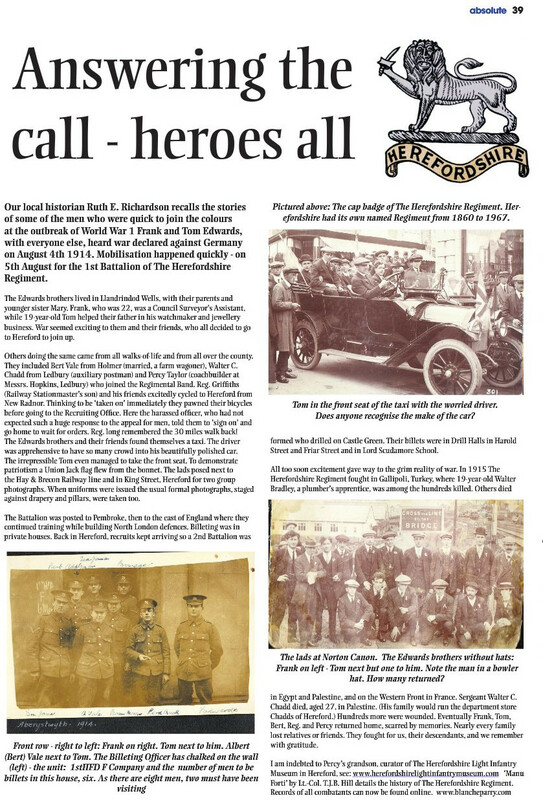 The stories of some of the men who were quick to join the colours at the outbreak of World War I. 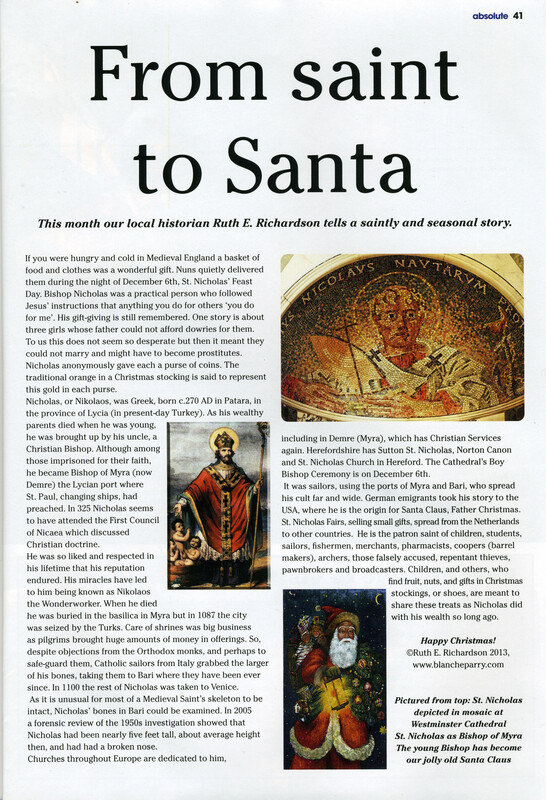 A saintly and seasonal story. 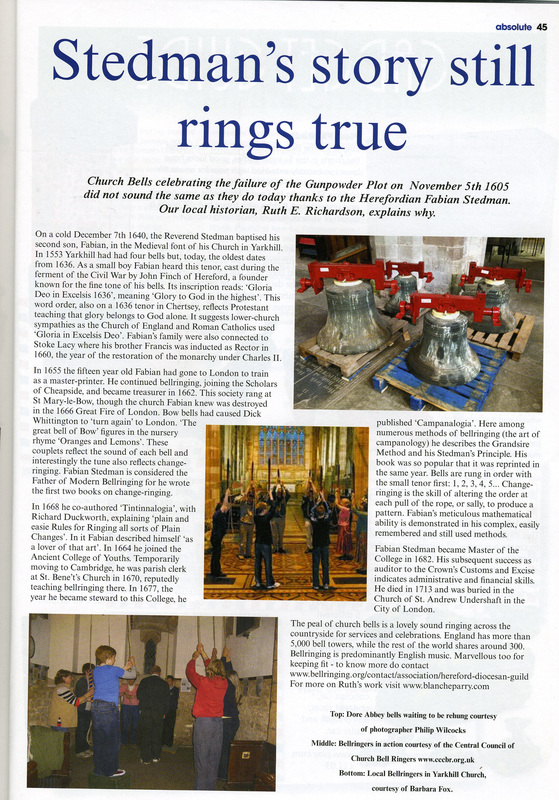 Church Bells celebrating the failure of the Gunpowder Plot on the 5th November 1605 did not sound the same as they do today thanks to the Herefordian Fabian Stedman. 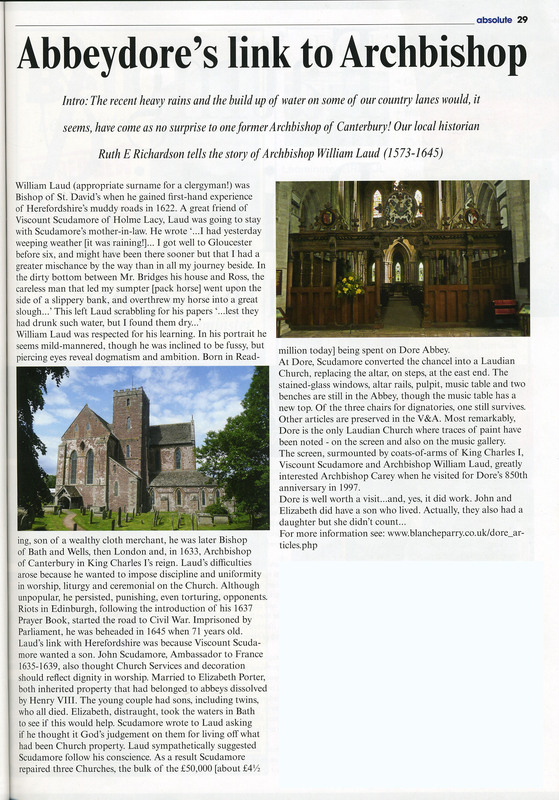 The flower garden of Madley. 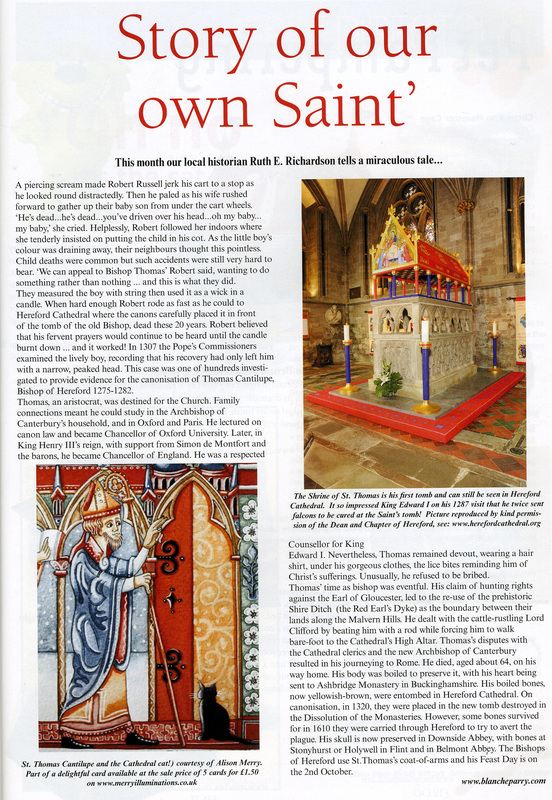 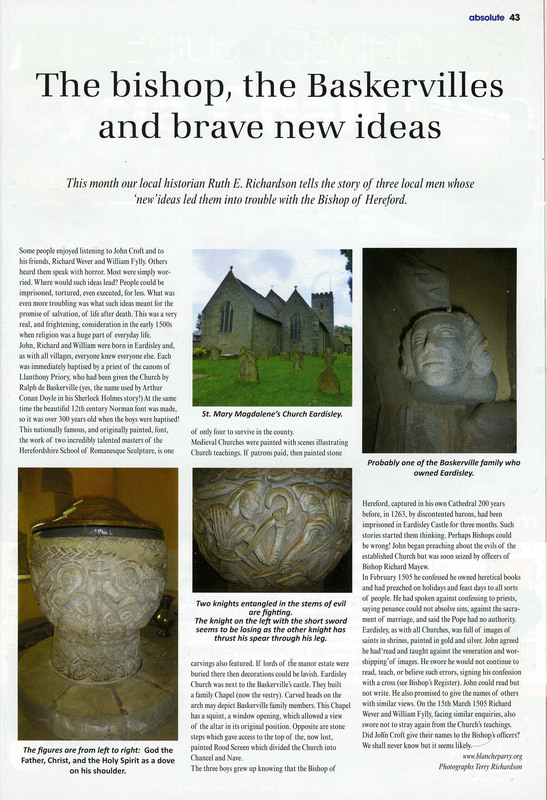 Eardisley Church and font, Baskervilles, and John Croft (a Lollard) and the Bishop of Hereford. 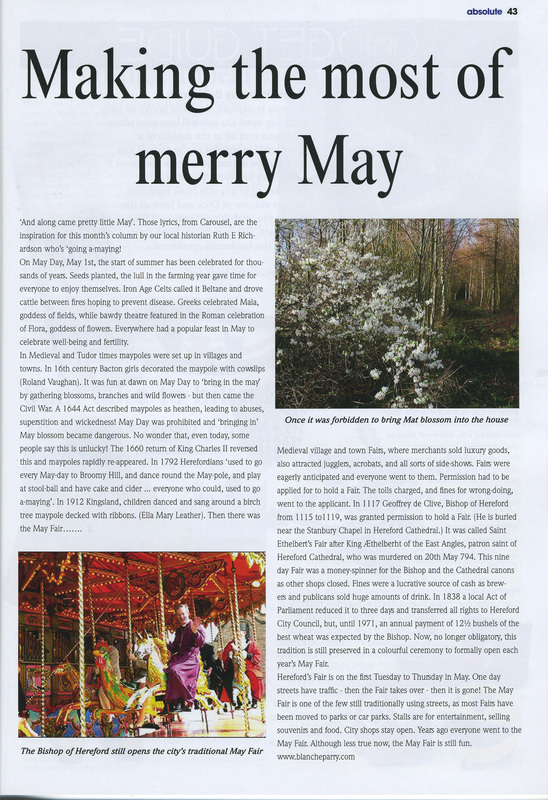 Celebrating the start of summer, Beltane, Flora, maypoles, Broomy Hill, Kingsland and Hereford May Fair. 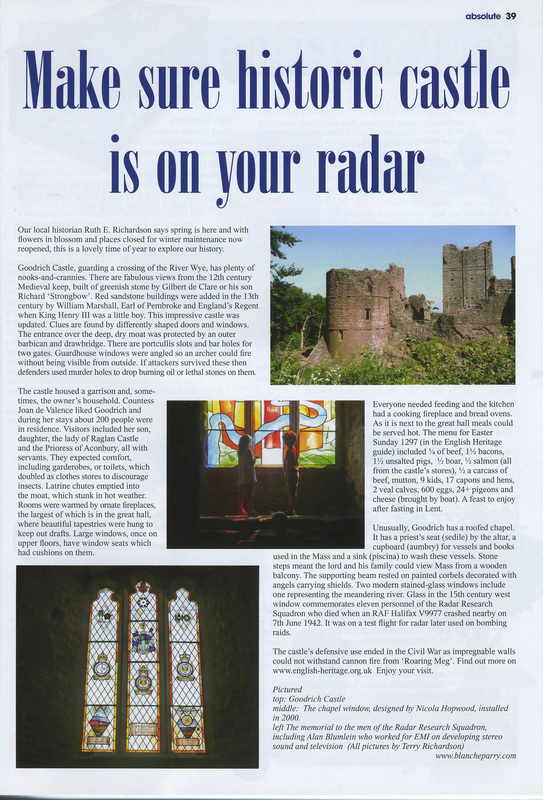 Goodrich Castle, Gilbert de Clare, Richard &apos;Strongbow&apos;, Joan, latrines, food, surviving chapel with modern stained–glass windows and Radar. 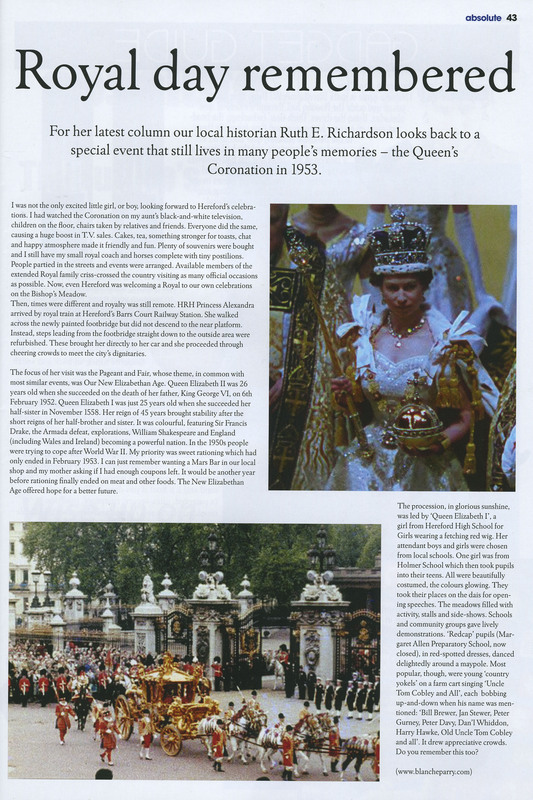 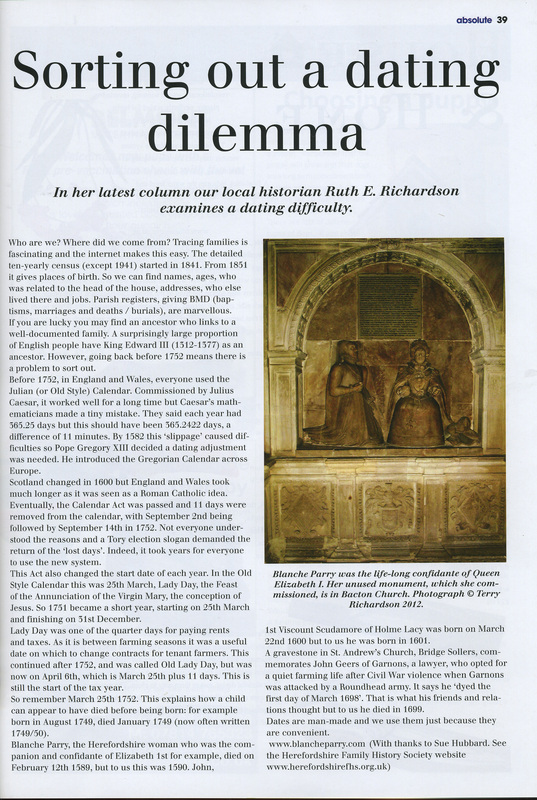 The importance of 1752 for researchers and family historians with examples of Blanche Parry, Viscount Scudamore and John Geers of Garnons. 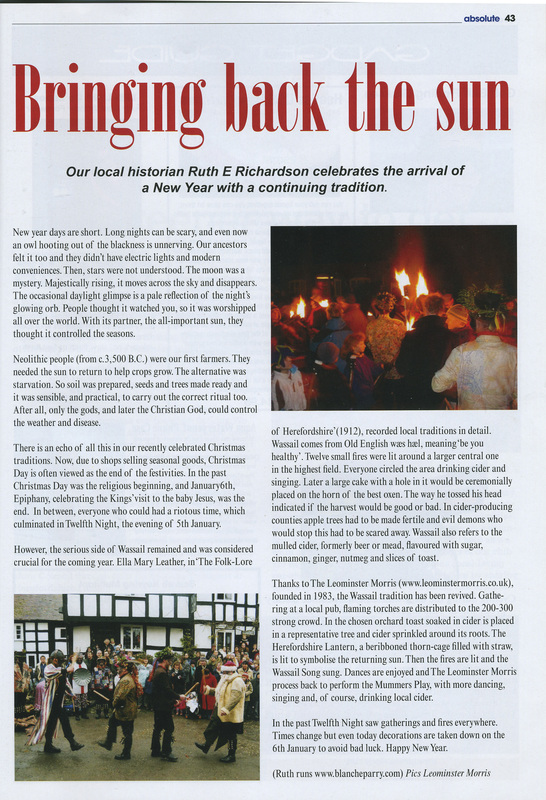 With Christmas in mind, attention turns to a seasonal custom that has its roots in the 18th Century but which has become a part of life in Herefordshire villages only in the last 40 or so years. 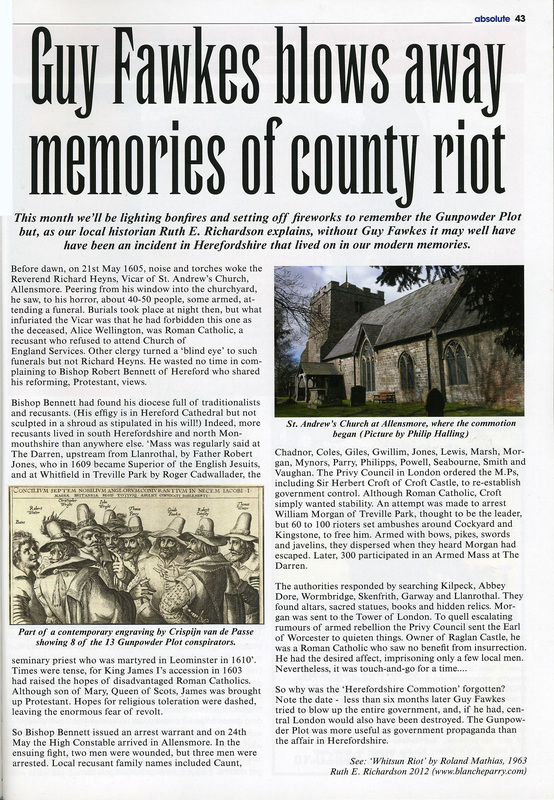 Without Guy Fawkes it may well have been an incident in Herefordshire that lived on in our modern memories. 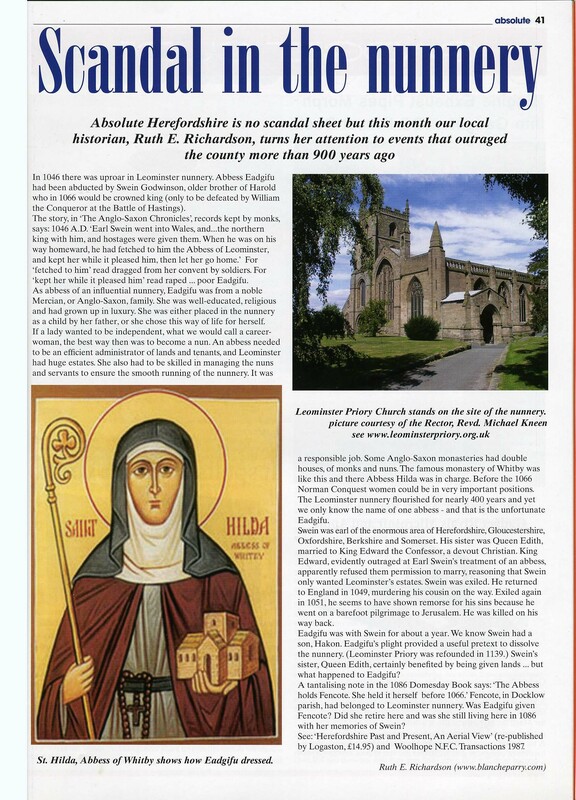 An outrage that shook the county of Herefordshire 900 years ago!